Dr. Justin John Moniz has begun to emerge as one of the preeminent voice teachers of commercial and musical theatre voice in the United States. He is currently Chair of Vocal Studies at Millikin University, Executive Director of Hawaii Performing Arts Festival, and Hawaii Governor of the National Opera Association. Moniz has previously held faculty appointments at the Oberlin Conservatory of Music and the New World School of the Arts. Current and former students have performed on The Voice, Broadway, off-Broadway, on national tours, in regional theaters and opera houses, on national television, and in bands touring throughout the United States. Moniz has written numerous articles and book reviews for The Opera Journal, and recently contributed to “So You Want to Sing Light Opera” by Dr. Linda Lister, published by Rowman and Littlefield. In great demand for his presentations and master classes on classical, commercial, and musical theatre voice, he has presented at both national and regional conferences for the National Opera Association, National Association of Teachers of Singing, Southeastern Theatre Conference, and at institutions including Temple University, Berklee College of Music, Baldwin Wallace Conservatory, Oklahoma City University, Auburn University, St. Olaf College, and the University of North Carolina— Chapel Hill. 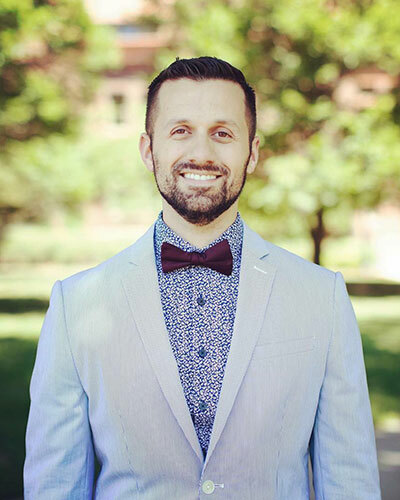 He has long been an adjudicator for Varsity Vocals and will join their esteemed panel of judges for the finals of the 2019 International Championships of Collegiate and High School A Cappella at Lincoln Center this April. In addition, he will serve as a featured presenter and judge for the Contemporary A Cappella Society’s BOSS Sings Festival at the Berklee College of Music this spring. Moniz holds four degrees from Florida State University, the University of Miami, and SUNY Potsdam, as well as certificates in Nonprofit Leadership and Sustainable Business Strategy from Duke University and Harvard Business School, respectively. He has received young alumni awards from all three of his alma maters, having recently been named one of Florida State University’s Notable Noles and University of Miami’s 30 Under Thirty. In addition, Moniz was awarded the Rising Star Award by SUNY Potsdam. He is a proud member of the American Guild of Musical Artists and the Actors’ Equity Association. Moniz's studio takes top honors in NATS Central Region. Moniz speaks about the voice area at Millikin University.